Guillermo Perrín y Vico was born in Malaga in 1857, a nephew of the great actor Antonio Vico, and died in Madrid in 1923. 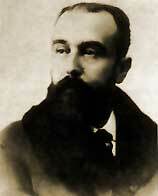 Miguel de Palacios was born in Gijón (possibly) in 1863 and studied medicine, but abandoned his first career to become a writer. 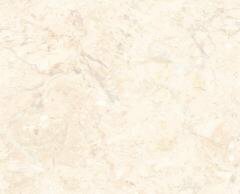 Besides the zarzuelas written with Perrín he also wrote historical dramas and poetry. He died in Gijón (not Covadonga as often cited*) in 1920. In public character Palacios was serious and moody, Perrín witty and bright. Together they formed an indissoluble literary union, to the extent that many people believed Perrín y Palacios to be one writer. "Astonishing is the ability and the luck of these authors to obtain - from a minimal amount of material and with minimal amount of wit, without characters, plots, indeed with almost nothing but theatrical know-how - pieces which give splendid opportunities to the composer, the scenic artist, the costumier, the stage director and the performers, and end up with such flattering and satisfactory results. And it is with this parade of dolls, this presentation of slick situations reflecting the present time, that Perrín and Palacios - most expert masters so much admired by the royalty collectors - can laugh at the literary world ..."
Specialising in revista (revue), they turned out a massive quantity of librettos in all shapes and sizes for leading musicians of the day, including Bretón (El clavel rojo, 1899), Chapí (Pepe Gallardo, 1898) and Caballero (El saboyano, 1896); as well as younger composers such as Luna (La reina de los mercados, 1909). Two of the revistas (revues) written with Miguel Nieto, Certamen nacional (1888) and Cuadros disolventes (1896), were particularly famous in their day. 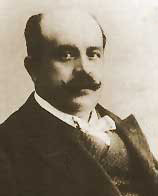 With Gerónimo Giménez, Nieto also furnished the music for one of their most enduring successes, the amusing backstage farce El barbero de Sevilla (1901). With Giménez they also enjoyed such short-lived triumphs as La camarona (1903) and El general (1903); as well as the more durable success of El husár de la guardia (1904), with additional music provided by Amadeo Vives. With one notable exception it is through Vives that their work is remembered today. Aside from El husár de la guardia they provided him with the repertory stalwarts Bohemios (1904) and La generala (1912); as well as all-but forgotten works such as La veda de amor (1912) and the intriguingly titled Miss Australia (1914). The exception is their most famous work of all, the biblical skit La corte de Faraón (1910). This was one of many pieces penned for the fertile Vicente Lleó, but it is the only one to stand the test of time. Outrageously popular and eternally controversial - it was banned for blasphemy by the Franco government - La corte de Faraón displays the characteristic citric qualities of their best work. As in all good light revue, the humour is silly without being stupid, the satire is fresh but good-humoured; in addition, the libretto is tightly constructed and offers succulent theatrical opportunities. Perrín y Palacios show no signs of losing the popularity of their public just yet.